We can't stop. We won't stop. Getting caught up in your thinking? Caught in the stories, your ego, the lower brain, keeps telling you? You notice you can't stop looking, staring, listening, hearing. It's such a compelling movie the voice in your head is showing you. You can't stop. You won't stop watching. It's scary and terrifying, but exciting and it pulls you in. Sucked in. Can't stop watching. But you can. It's an illusion, and like a hologram, it's showing you things that are not real. Waking up to it means simply this. Walking away from the chatter. Choosing not to participate in the drama. Deciding to pull yourself out of the story. Now you're thinking, why should I not get involved in my thinking? The answer is simple. If you put your hand in fire you'll get burned; you'll suffer. And guess what? Thinking will kinda burn you every time. And not only does thinking burn you, but it also doesn't help you. Can we know without thinking? Or rather, can we know, when we need to know and not one moment before? Call it "just in time knowledge." The concept of "just in time" comes from the manufacturing industry. It's based on producing goods, just-in-time when they are needed. Manufacturing in a continuous flow and just the exact amount, not more. Zero waste. Now, let us apply this to thought and our thinking. Producing a crazy amount of thoughts, overthinking and ruminating, is like producing a bunch of goods that are not needed. It's a waste of resources and clogs the system up. Engaging in your thoughts, getting caught up in your thinking and trying to think your way out of the maze of thoughts creates well...waste and a bunch of suffering. Instead look towards "just in time" knowledge. Whenever you need your knowledge, you pull it out of your storage. But only then, not a moment before. Just. In. Time. This has nothing to do with learning new things. This has nothing to do with acquiring knowledge or using your higher brain to solve problems that need to be addressed. What I'm talking about is engaging with the voice in your head that can't shut the f*ck up and that obsessively pulls you back into the argument. Nothing of value comes out of that. Instead see if you can look towards a deeper kinda knowledge, the one that will show up when you need it. A higher form of knowledge. A deeper kinda knowledge. We can call it wisdom. We can call it intuition. It doesn't matter what you wanna name it. The point is it's the useful kinda knowledge. The kind that will move you towards growth, towards peace and maybe, yes maybe, move humankind one step further along the continuum of life. Yeah, why not shoot for the stars? That when you show up to the present moment, open and willing for the answers to arrive "just in time", they usually do. When your thinking, when the internal chatter settles down, a clarity emerges and the raw, "just in time" knowledge, surfaces and presents itself. And it's usually in the most surprising way. But a way that makes so much sense. 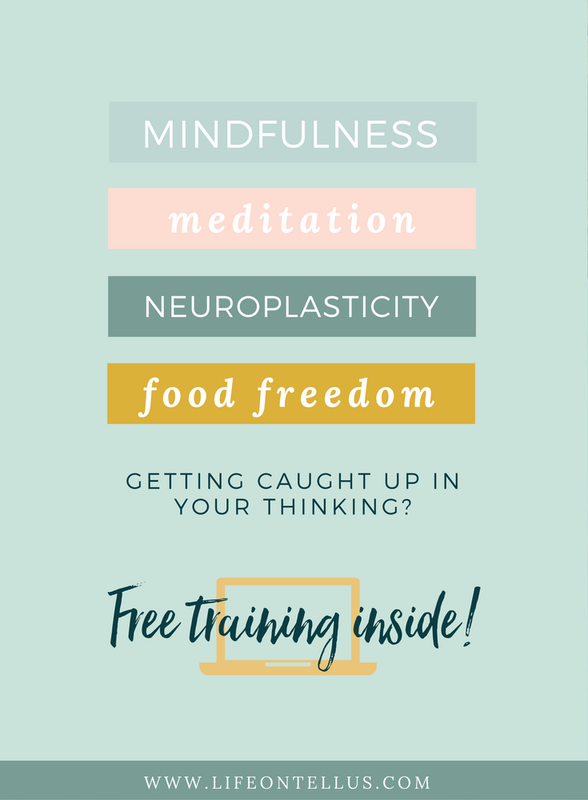 What if your intuition is not some woo-woo madness but very real and a rational part of your brain? What if it actually is the real deal? What if what comes from your higher intelligent mind, when the primal impulsive brain stops its incessant noise, is truth? What if engaging in more thinking keeps you from the answers that you so desperately are looking for? We believe that by thinking an extra round about our problems, the solution is gonna appear by some miracle. But what if, by walking away from the internal melodrama, we open up space for knowledge to show up? 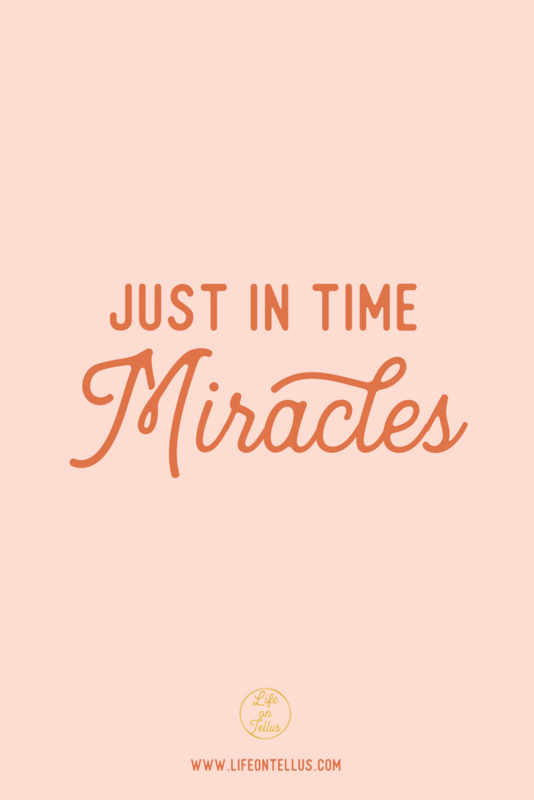 "Just in time" miracles.